Little Dragons – Games for Android 2018 – Free download. 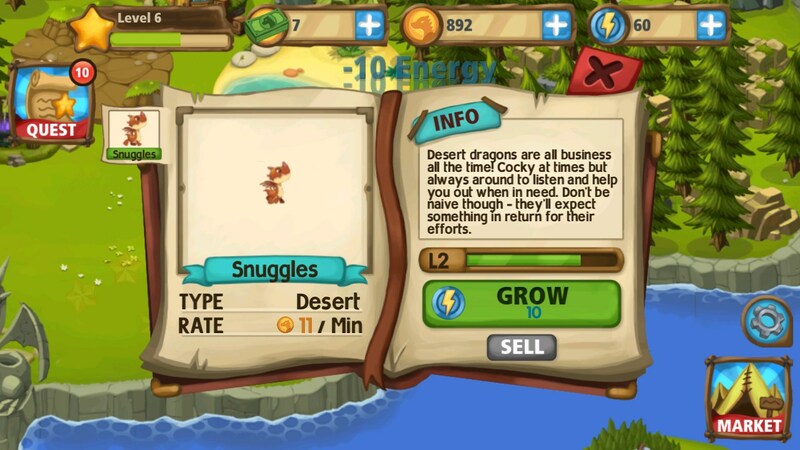 Little Dragons – Simulator cultivation and breeding of dragons. 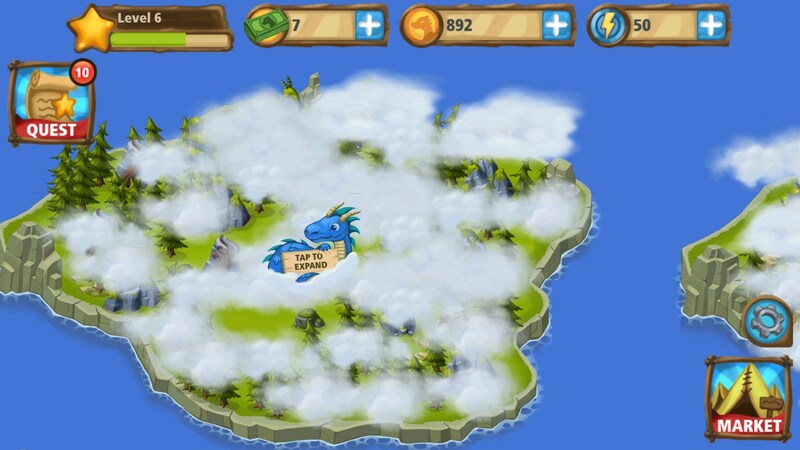 Little Dragons - is a colorful and vivid simulation of growing dragons for Android-based smartphones and tablets. The game has a nice meditative geimpleem, and is designed for people of all ages. But particularly like her children and lovers of dragons. 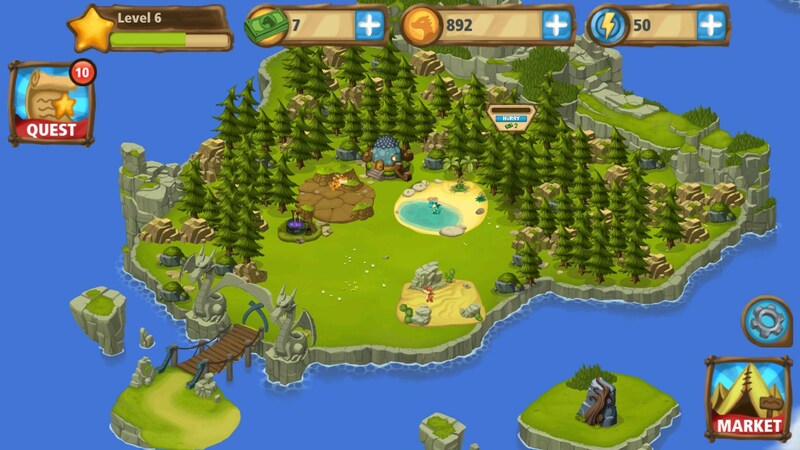 Engaged in developing a game studio PlayCoMo, specializing in the creation of simple and vivid social games. Though the genre is a bit jaded, but lose sight of the games we did not have the right, as it is for them to spend more of the time, thanks to easy operation, simple gameplay and graphics are amazing. At the very beginning of the game a virtual assistant we will explain step by step how to create new dragons and put them in the cage, as we have previously created. Master control is a snap, despite the absence of the Russian language, which is practically not necessary, if you can tell from the Fire Dragon Gold Dragon. Each building or improvement takes time and many resources. 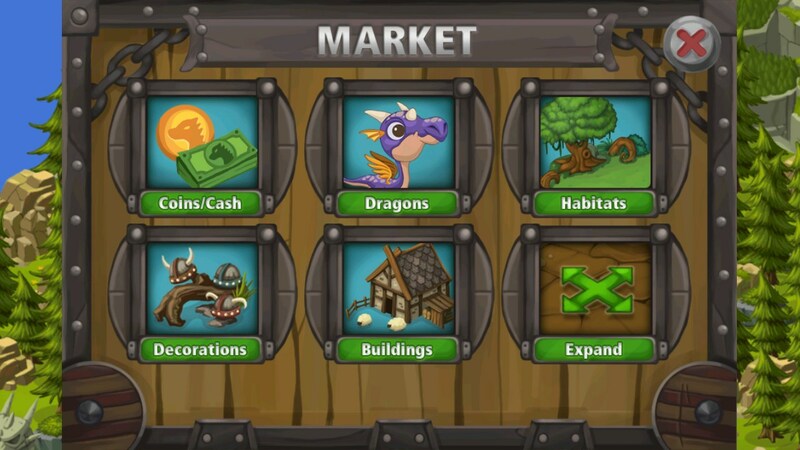 Resources in the Little Dragons bring dragons, but to accelerate the construction and improvements have required special items that are given as a reward for the job or bought for real money in the embedded store. Initially available to us one small island, surrounded by forest, which can be cut down to make way for the new enclosures. If the island will be small, we have the opportunity to open the adjacent and between them lay a beautiful hanging bridge. The most interesting part of the game - it's mating dragons. Brightens up the process that is not known until the very end, what kind of dragon we got in the end. 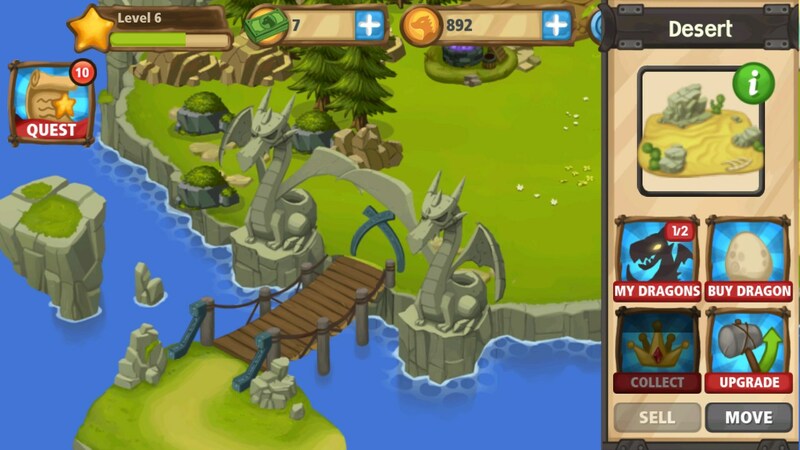 Colorful graphics and interesting drawing dragons. Many people may be confused too little money, and the construction of a high, but that was not so hard, you can just rewind the system time ago, and the next entry in the game, we get back the original stock (a small cheating). Summary. 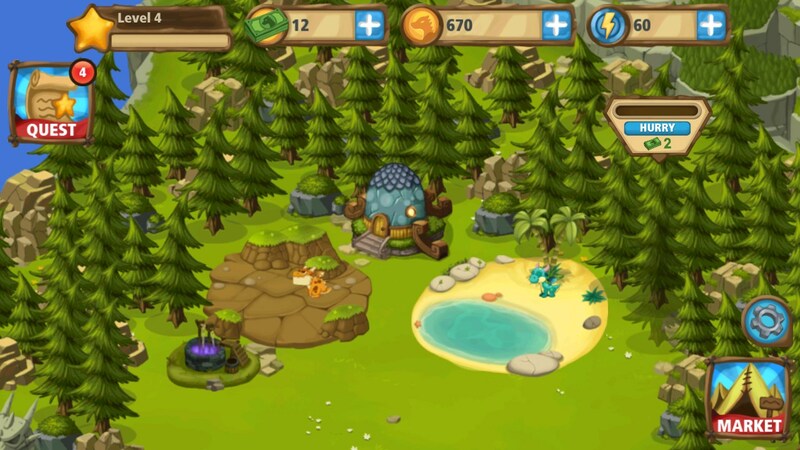 Little Dragons - it is very beautiful and high quality breeding game about dragons, which would have been perfect in its way, if not greedy Donat, who as always, all the spoils. Choose a user is because the genre is still worthy contenders in the face of Dragon Story and Tiny Monster , which, by the way, have the same major flaw (Donato).